Good careers guidance helps inspire students towards further study and enables them to make informed decisions whenever choices are open to them. It helps them to understand enough about the world of work to know what skills they need to succeed. It is important for social mobility because it helps to open students’ eyes to careers they may not have considered.’ (Gatsby Report, 2014). The release of the ‘Careers strategy: making the most of everyone’s skills and talents’ (2017) places a statutory duty on all schools/academies to use the Gatsby benchmarks (listed below) to inform and develop their careers provision. Recent changes reflect the need to provide access to both technical and apprenticeship providers as well as offering independent careers advice to all pupils. An emphasis must now be placed on students having meaningful encounters with employers in every year they attend secondary school. A meaningful encounter is one in which the student has an opportunity to learn about what work is like or what it takes to be successful in the workplace. At Cams Hill School we offer 1:1 careers interviews with a fully qualified individual to all Year 11 pupils and to any pupil who would benefit at an earlier time. We offer multiple opportunities for pupils to meet colleges/apprenticeship providers including (but not exclusively) the Year 9 Careers and Guided Choices Evening (Tuesday 29 January 2019), Year 11 Colleges Evening (27 September 2018) and various events throughout the year. Year 10 enjoy work experience week and mock interview day. Year 9 pupils spend a term of tutor time activities researching careers and enterprise skills. 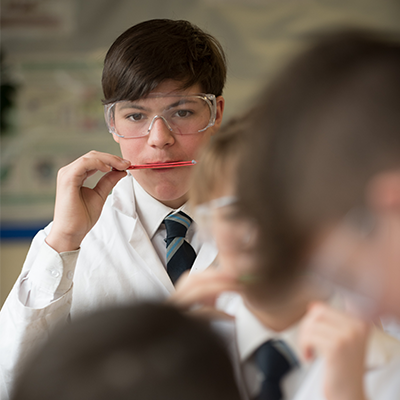 We have regular ‘Working lunch talks’ from local and national members of industry at least once a month between October and April which all pupils can choose to attend. Whilst we now work closely with a large number of local industry representatives and all local FE providers we are always happy to hear from local businesses who can help us further. Talking to our pupils is enlightening and raises aspirations. It also is an ideal way to develop staff and improve their communication skills etc. If you would like to present to our pupils then please download and follow the provider access policy. Teachers and pupils may wish to access the below resources for further guidance. Fast Tomato is a popular careers tool, with information about careers and a questionnaire to help you explore your ideas. Go to www.fasttomato.com. Click on ‘Signup’ and enter ‘CHSS’ unless you already have a username and password in which case click on ‘log-in’ and enter your details. All young people are expected to stay in some form of learning after Year 11, until their 18th birthday. This could be at a 6th form or a college, in an apprenticeship or traineeships. You could also have a job or volunteer, but you should have at least 20 hours of education or training as well. For more information, go to www.gov.uk/know-when-you-can-leave-school. There is a wide range of post-16 academic and vocational courses available at all different levels at your local 6th forms and colleges. Check their prospectuses and websites for the schools and colleges you are interested in, and attend their open evenings. When you apply to college or 6th form you may need some support with costs such as transport and equipment for your course. The college may have a discretionary fund and you may be able to apply for some support. Speak to the college about this to see if you are eligible. Apprenticeships are available at various levels and provide paid work with an employer or training provide, alongside study to gain appropriate vocational qualifications. Find out more and look at vacancies at www.getingofar.gov.uk. Traineeships are available to prepare young people for entry to apprenticeships. They involve work experience with an employer, employability skills, and the basic educational skills required by employers – Maths and English. Find out more at www.getingofar.gov.uk/traineeships. This is post-18 study, where you need a minimum of Level 3 qualifications (e.g. A levels). It is usually in universities, but could also be at a specialist Higher Education Institution (HEI) or in some further education colleges. Check out www.ucas.com for information, and www.gov.uk/student-finance for details about finance. You can get involved with a wide range of interesting voluntary work which can help with your self confidence, CV and future job applications. Visit www.do-it.org.uk for opportunities. If you have any further questions or would like advice or to request a careers interview for your child then please email office@camshill.com stating your question for the attention of the careers leader Mr S.Purslow.